The small city of Yelm was once used by the Nisqually native people as a prairie for their horses and continues to be known as “The Pride of the Prairie”. Though the city has just under 7,000 residents, it is a popular rural area for commuters to Tacoma, Joint Base Lewis-McChord, and Seattle. 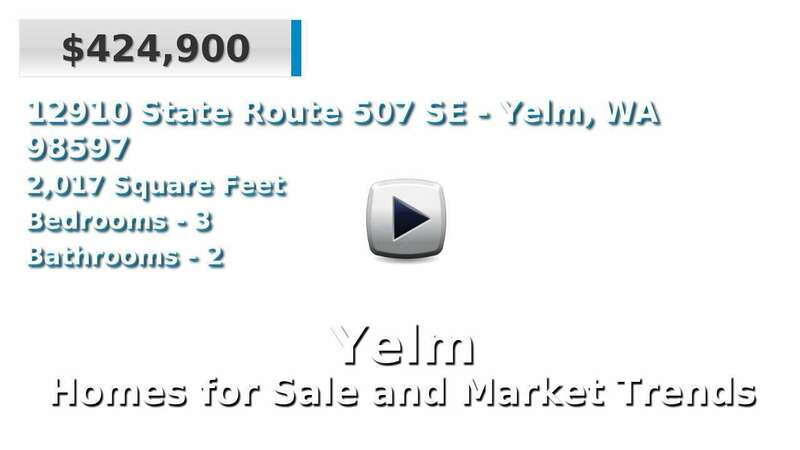 Yelm is part of Thurston County in western Washington, southeast of Olympia and Lacey. Homes for sale in Yelm tend to have larger lot sizes, with the feel of the country and the convenience of suburbia, though the town has seen a large boost in new construction over recent years. On average, houses here are much newer than in the rest of the county and state. The parks and trails system in Yelm is a source of pride for the city; in fact, the Yelm-Tenino Trail connects to the Chehalis Western Trail in Lacey, giving runners and bicyclists a non-stop path for nearly 40 miles. 3 Beds | 2.5 Baths | 1452 sq. Ft.
4 Beds | 2 Baths | 2035 sq. Ft.
4 Beds | 2.5 Baths | 1905 sq. Ft.
3 Beds | 3 Baths | 2589 sq. Ft.